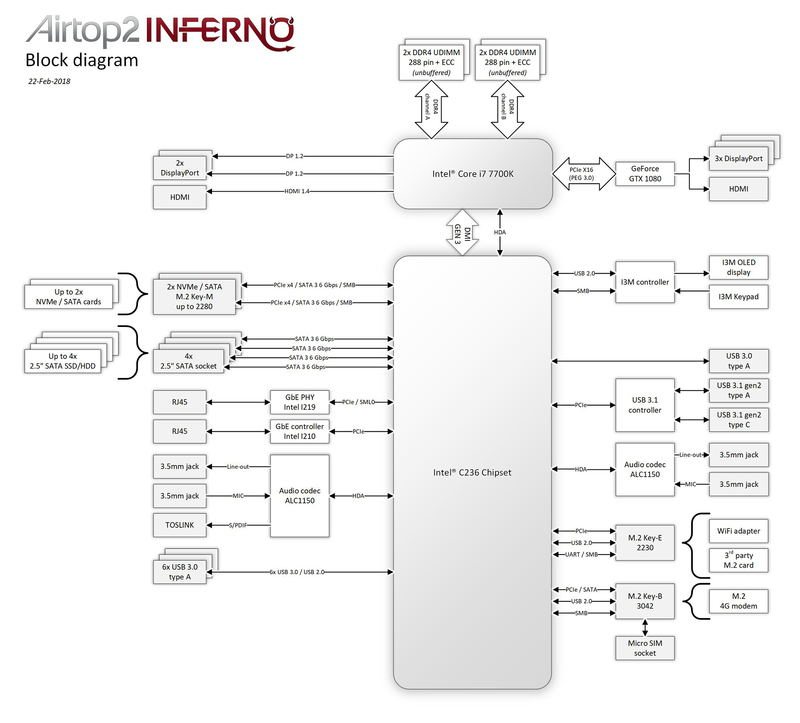 Note: integrated graphics can work in conjunction with discrete graphics for a total of 7 simultaneous displays. Add-on M.2 E-key 2230 + 2x RP-SMA antennas. User can install another Wireless LAN adapter. 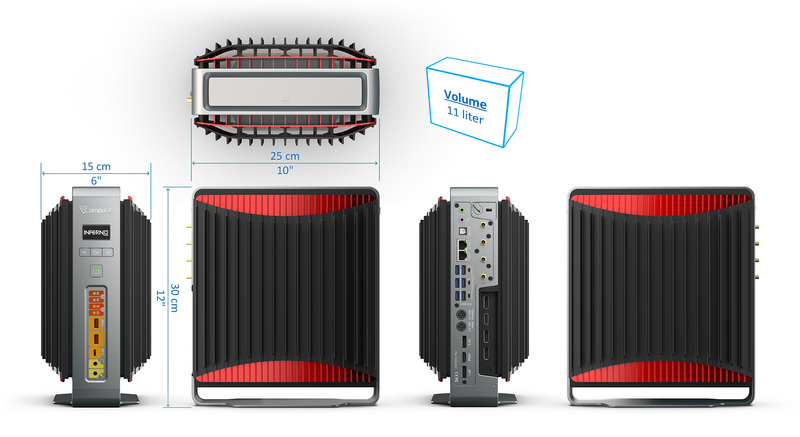 Fanless* Natural Airflow with double air-tubes. * CPU, graphics card and PSU are all passively cooled. No case-fan or any other active cooling is required. Case opens by pressing the top-bar. RAM modules and HDD-cartridge require no tools for installation*. * When ordered in industrial temperature range. Commercial and extended temperature range are also available.